Spanish Broom (Spartium junceum) is a perennial, evergreen, nitrogen-fixing (leguminous) shrub native to the Mediterranean area of Southern Europe, Asia, and North Africa. In its native habitat it is found growing in full sun on dry, sandy soils. Spanish Broom does well in many New Mexico landscapes which have characteristics similar to its native habitat. It is used as an ornamental in the garden, around the house, or xeric landscape plantings. 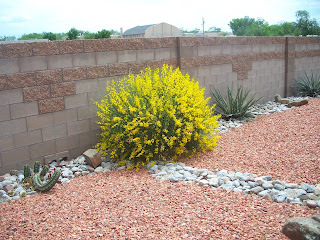 Spanish Broom can grow 1’-1.5’ annually reaching up to 10’ tall and wide. It grows as an upright shrub with green trunk and stems with occasional small leaves during spring and summer. In late spring Spanish Broom is literally covered with very fragrant yellow pea-like flowers. 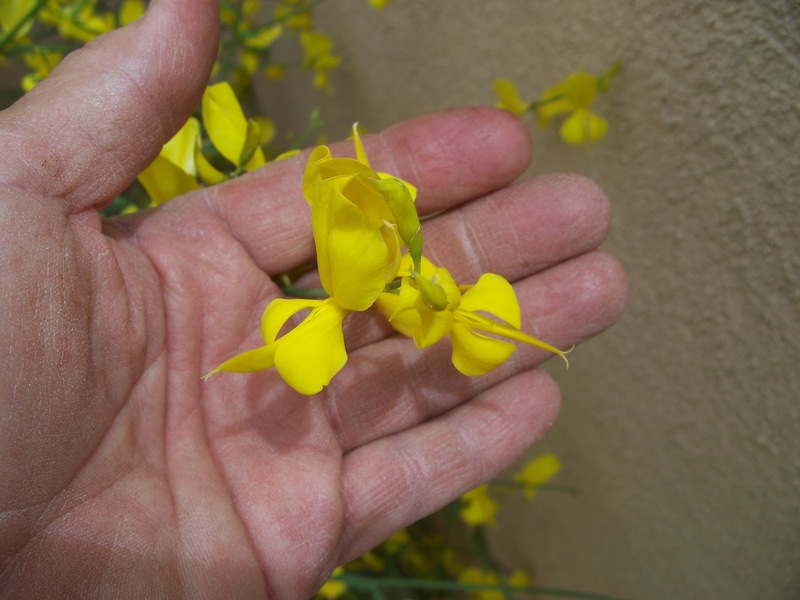 As a nitrogen-fixing legume it is related to plants in the pea family which is easily seen by a close look at its flower (photo). 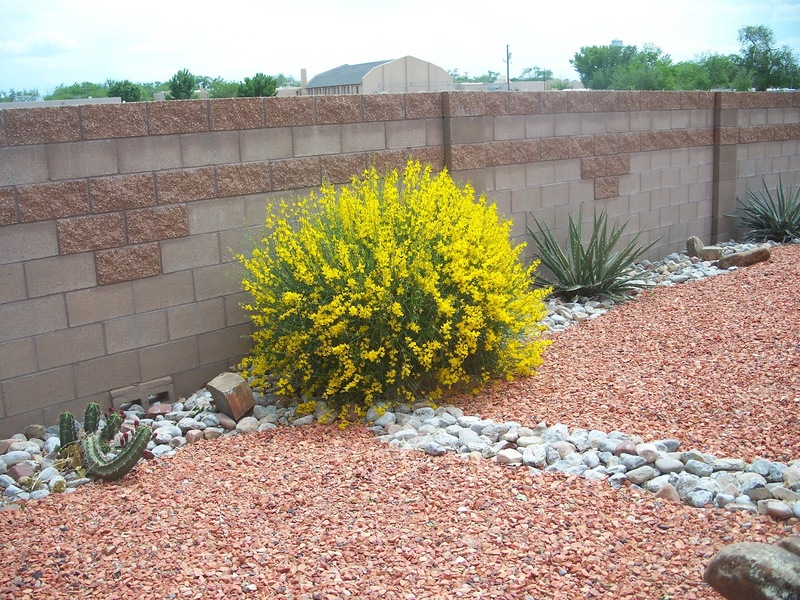 Spanish Broom is best grown in well-drained soils in full sun and can be grown with low to regular water after establishment. 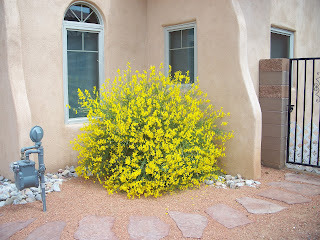 When Spanish Broom exceeds its allotted space or needs reshaping it can be rejuvenated by pruning it back. The older, large stems can be pruned down to near ground level. This leaves only smaller, newer branches and encourages development of new growth. New stems tend to flower more heavily than the older stems, so pruning increases flower production by the plant. Spanish Broom is hardy to USDA zone 6. Trees That Please Nursery has Spanish Broom in 1 and 5 gallon sizes. Contact the nursery for more information and pricing.